Mitrice was never heard from again. A year later, her body was found deep inside Dark Canyon in Los Angeles. It was a tragic ending for someone who shouldn’t have been arrested in the first place. Let alone, released into the night without a phone/funds to take care of herself. How did the police think she would get home? 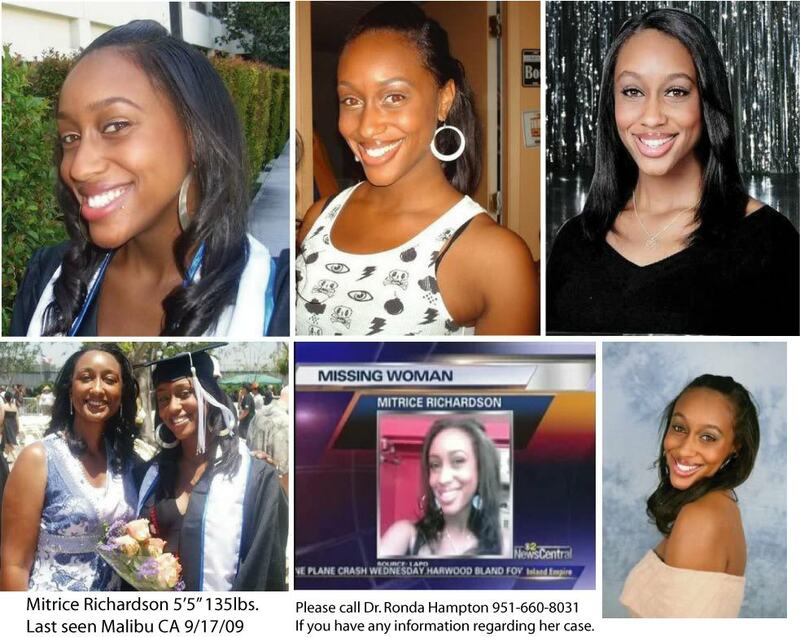 The LAPD is hella suspect in the death of Ms. Richardson. I’m glad the parents have stayed on top of their daughter’s case. If you have informationcontact the family directly. You can do so via the family’s website Bring Mitrice Justice. It’s such a shame how things are unheard of. It’s so sad. Do we not have enough power to do things as African Americans? Are we scared? Do we just talk the talk and not walk the walk? I mean, I really don’t know what the answer is, but no one cares to mention it. We hear about our people dying, and no one knows why. It’s scary and sad. Good insightful post!